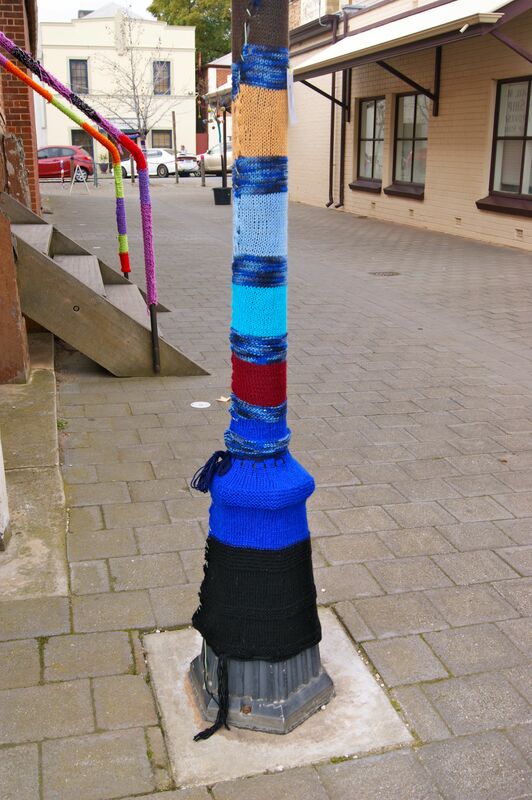 Yarn bombed light pole. Covered in knitting. 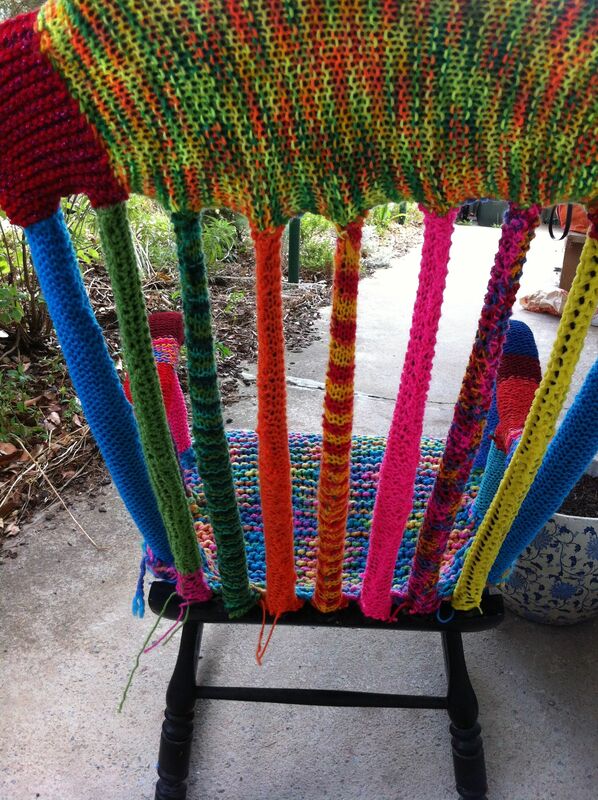 Yarn bombed rocking chair. 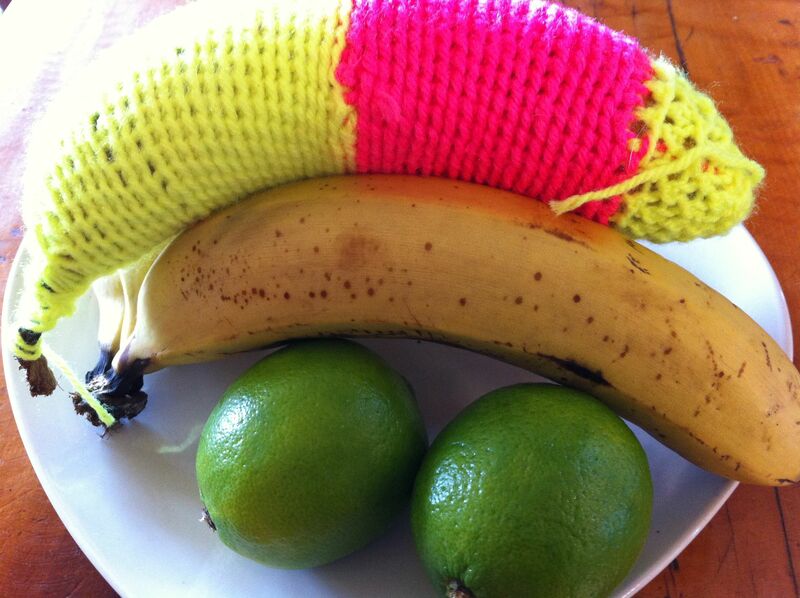 Yarn bombing this banana confused a few people when they approached the fruit bowl. 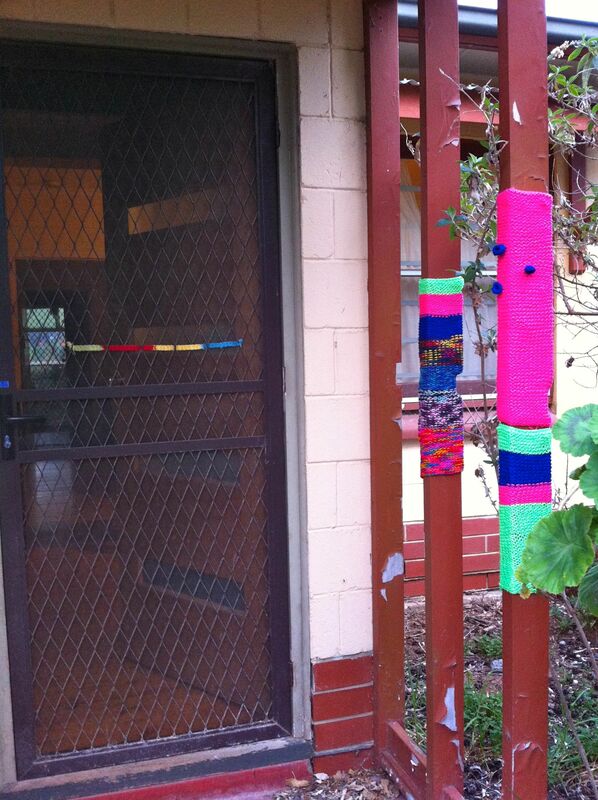 Yarn bombed poles & front door. 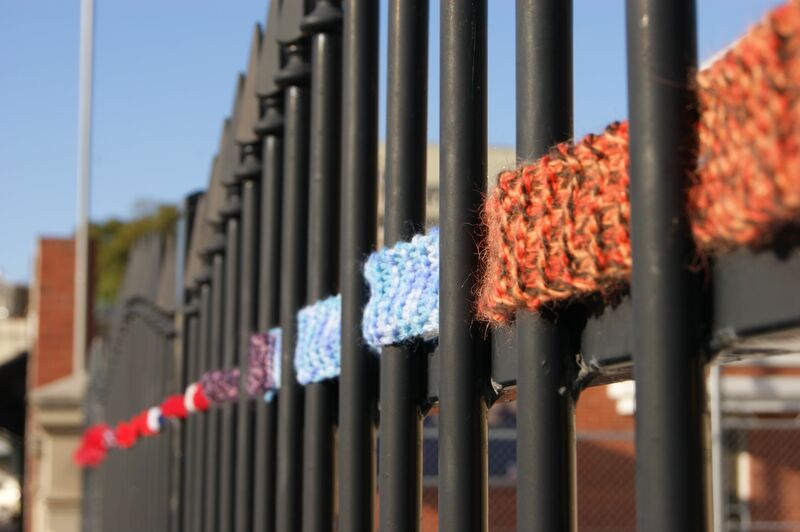 Yarn trail fence. 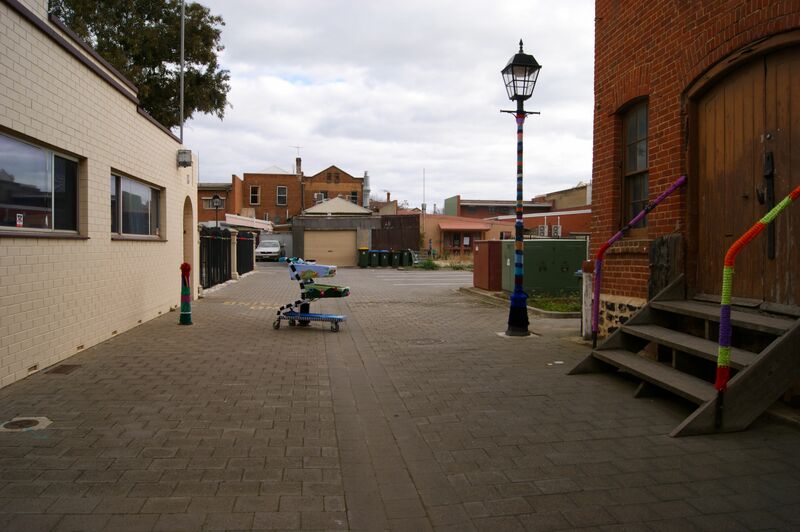 Yarn bombed side lane in Port Adelaide. 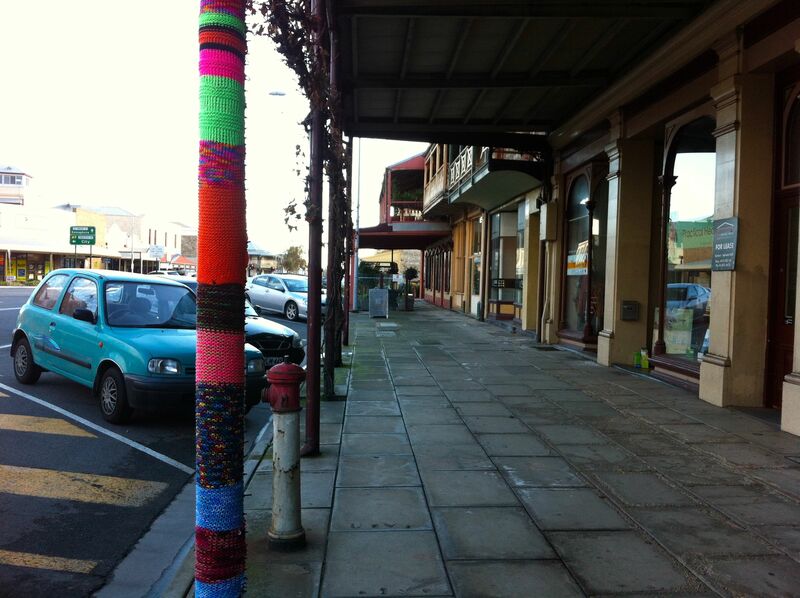 Yarn bombed by a large group of local women. 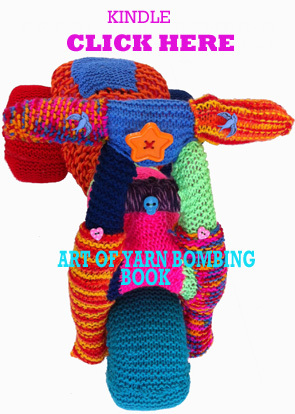 Using crochet, knitting & craft super powers. 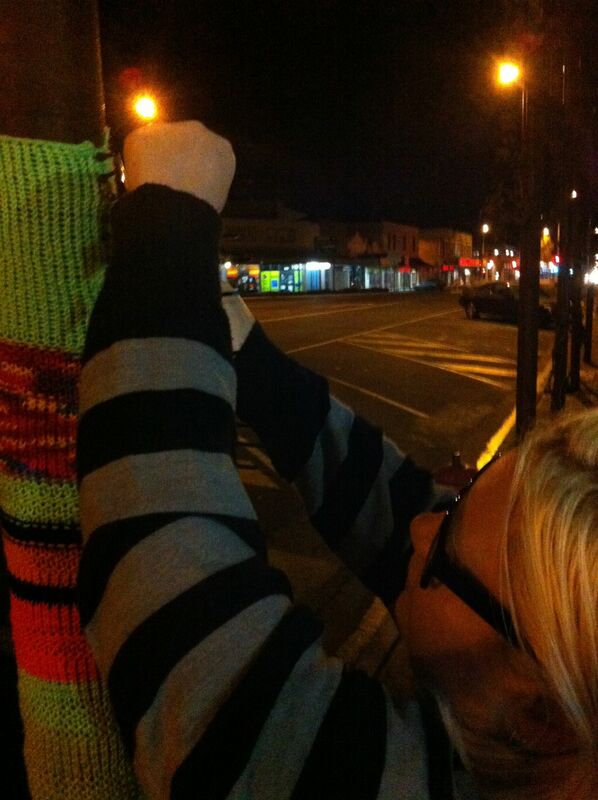 I yarn bombed this pole at night using my car headlamps for light. This entry was posted in Uncategorized and tagged craft, crochet, knitting, photography, port adelaide, yarn, yarn bomb, yarn bombed, yarn bombing on April 3, 2013 by yarnbomb. Awesome! Love the cart, and I always enjoy seeing pictures of people actually installing stuff. thanks. I had a look at your carrots & they are great!